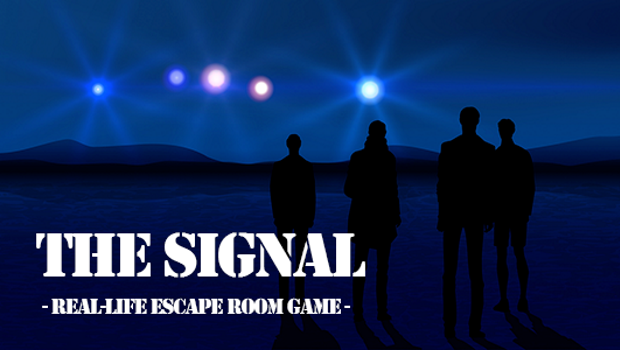 The Signal has a twist, but it’s revealed during the briefing, so I’ll consider it fair game to explain here. At some point during The Signal, you’re going to have to make a choice, and that’s going to branch the game out in one of two different directions. On hearing that I was, at first, fairly cynical about it, picturing a computer RPG-esque “pick your ending” choice, but it’s actually a lot more subtle than that. The Signal is broadly connected to a UFO sighting over Derby many years ago, and it certainly channels the aesthetics of the X-Files: full on 90s UFO and alien paranoia. But the game starts a lot less ostentatiously, in an office within a bunker that you’ve found yourself trapped in. With just an hour to get out, of course. 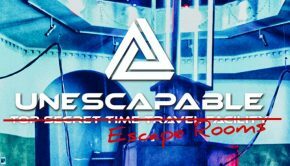 The first part of this game is typical escape room fare. 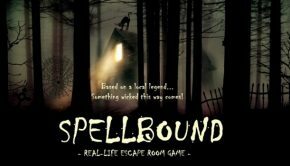 Decent enough puzzles, nothing mind-blowing but it gets the job done. There’s also a neat bit of 80s tech involved which was fun to see, though may baffle some younger players. From there the game progresses and gets a lot more interesting. It’s rare that I’m surprised by a hidden room these days, and had figured The Signal was going to have one, but at no point in the first half of the game did I manage to figure out where it was going to be, so that’s certainly worth bonus points. The set for the second part is a lot more impressive, and it’s here you’ll face the aforementioned decision. It’s not, as I expected, simply having two pathways available to you and making an obvious choice. Instead, you need to really pay attention to the game, and everything you’ve learned so far, to even realise what the choice is. Furthermore, while the “wrong” choice is fairly obvious, the “right” choice requires a bit of puzzling to work out. And it’s at that point I really questioned whether telling us the choice existed in advance was the right move. Sure, we made the right choice because we figured out that’s what it was. But if we weren’t briefed on the existence of a choice, would we have just tried the obvious move first, and got the “bad” ending? And would that have been an enjoyable or frustrating experience? I’m not really sure. 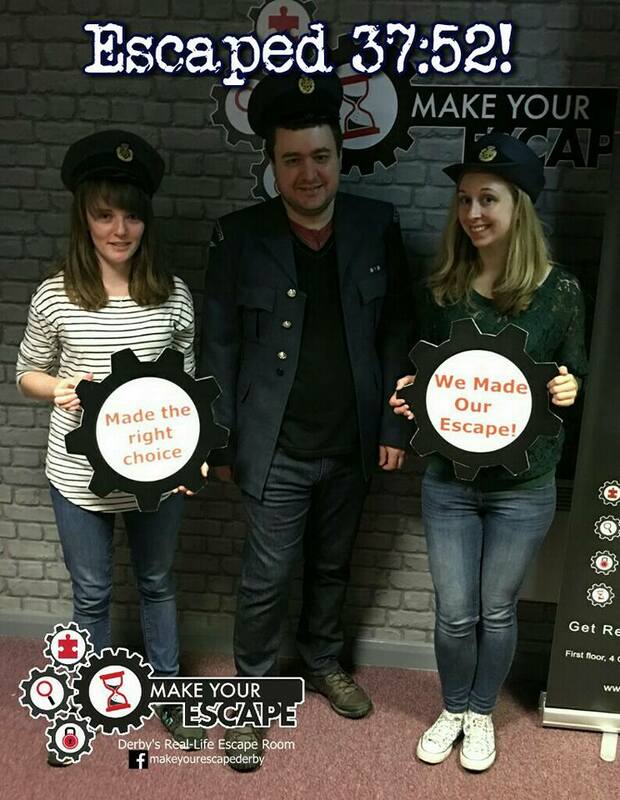 Certainly the mindset we approach escape rooms with is that you can’t really fail, other than by running out of time. Any interaction is a valid one, and that’s part of the fun. On reflection I think Make Your Escape get it just about spot on: doing the “right” thing still involves acting a little contrary to how you’ve been told, even if it also involves just not being a horrible person. So there’s weight to it. But when the “bad” option is so simple and straightforward, I do wonder if the joy for any group who figured out the alternative option through their own smarts (without being prompted that it existed) would outweigh the disappointment some groups might feel at getting a bad ending just because they didn’t know they had to stop and think. None of this is criticism of the game, incidentally. The reason I can spend three-hundred words talking about it in the middle of a review is that I’ve never seen it done before and it sets my brain off in all sorts of interesting directions. That’s also why I don’t hesitate in recommending this game to enthusiasts. It’s a solid three-star game without the twist: perfectly decent puzzles and sets, but said twist just makes it so much more interesting. While successfully negotiating the choice requires getting at least a basic understanding of what’s going on in terms of the story, there’s also a lot more plot hidden around if you pay attention. We actually missed a lot of them, so perhaps it needs sign-posting a bit more or maybe we just needed to be more observant, but there are certain interactions you can do which add a bit of flavour to the game and help point at what’s really going on. Summary: A solid game that distinguishes itself with a second half that really does something different.